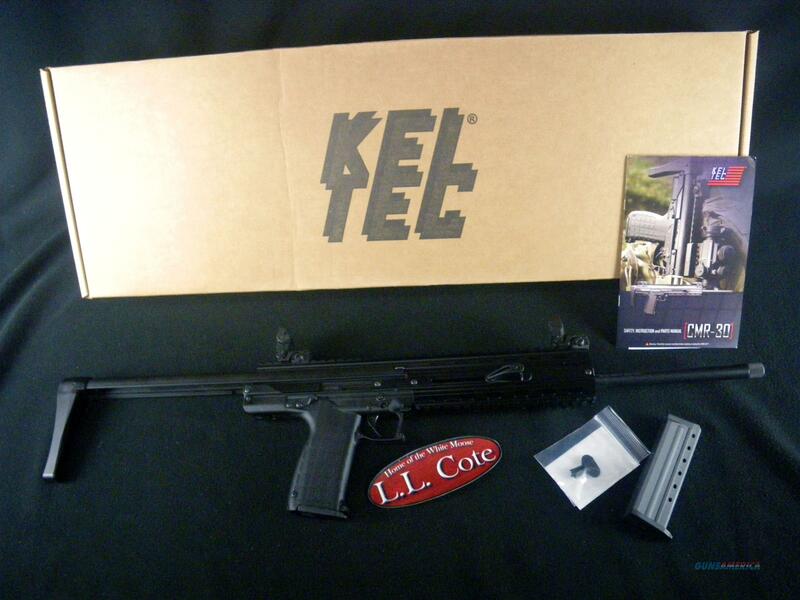 Description: You are bidding on a Kel-Tec CMR-30 in 22WMR with a 16" barrel. Designed for compact, lightweight, low recoil accuracy, the CMR-30™ features a single action trigger, bolt stop, ambidextrous safety levers and magazine catch similar to the popular PMR-30 pistol. It also uses the same 30 round, .22WMR magazine. A collapsible stock reduces its 30.6 inch overall length to 22.7 inches. The CMR-30 will redefine your idea of accuracy. Displayed images are stock photos. Any questions please feel free to ask (our phone number is in the additional information tab above).